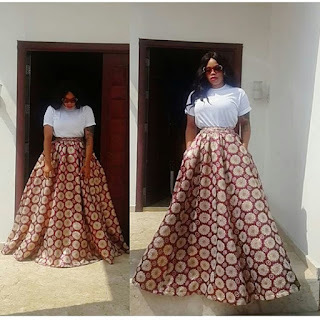 CHECHESMITHNATION : Toyin Lawani Slays on! Get seriously inspired peeps...here is the CEO of Tiannahsplacempire,Toyin Lawani, rocking this floor-length damask full skirt that featured double side pocket and paired with white tee. We are sold out to this gorgeous look.